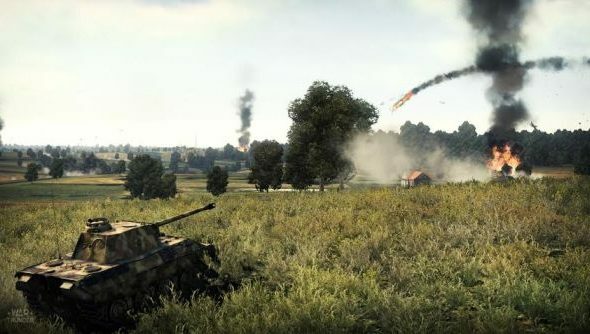 We’ve got 500 keys to 500 tanks in War Thunder’s Ground Forces beta. Want one? Gaijin’s Ground Forces beta server is trundling over this weekend and all through next week, a bit like a tank might. Why that particular, elegant simile? Because the free expansion finally delivers on War Thunder’s great promise: to complement its ace military flight sim with tanks, tanklets and tracked vehicles of all kinds. That means populating its servers with as many ashen-faced APV drivers as it already has doomed pilots on the line back to Blighty. Perhaps one of them might be you? For a chance at a key, you’ll need to enter your email address into the magician’s box in this post. We promise it won’t be sliced in half, or appear just behind your ear, hanging on by its ‘@’. Instead, the box will punt out 500 keys to 500 new owners. Please do follow us on Twitter and Facebook. That way, we’ll let you know where we’re up to in the coming days. If you get a key, you’ll want to register, or login if you’ve already done so, at the War Thunder site. From there, click the ‘Redeem code’ button on the right-hand menu, download the CBT-launcher (direct link), and let it grab the beta client. Right then: would-be War Thunderers, make yourselves known.